Chaat Ka Chaska Street Food Franchise Outlet has come up with a franchise outlet staring with minimum investment while making our franchise holders to gain peaks of profit in no time. If you are desperate to inaugurate your own Chaat Ka Chaska Street Food Franchise Outlet in Kohima but lack due to many reasons then we are here to help you out. From managing financials to promotional activities we will be sharing your all responsibility with our special skills. So, what are you waiting for and plan to launch your own food business with Chaat Ka Chaska Street and Fast Food Franchise outlet in Kohima. Why Chaat Ka Chaska in Kohima? Being enclosed by lush green forest and hills Kohima marks the wondrous place for the lovers of trekking, camping and hiking. It is the centre of attraction with its beautiful green valleys named as Dzukou, museums like Kohima State Museum, Kohima village, the famous Entrance to War Cemetery, and Intanki Wildlife Sanctuary. Apart, many marketplaces in Kohima are often visited by different visitors every day. These tourist folk love to munch over street food to enjoy being in lust green hilly area. Thus, owing to your own Chaat Ka Chaska Street and Fast Food Franchise outlet in Kohima will be a fruitful experience. This food business will never leave you in loss due to the heavy footfall in the city and our tasty chaat menu card. We at the Chaat Ka Chaska franchise outlet in Kohima promote hygienic and sustainable street food business franchise system. Also, our experienced team help us for better incorporating operational excellence and years of experience in the food business. Our special chaat menu card comprises of traditional to innovative chaat variety, Aloo Tikki, Bhel Puri, Pani Pori also called as Paniwale Batashe, yummy Raj Kachori, tasty Samosas and Pakodas, Gupchups, Sev Puri, and the other number of tasty fast food services in the city. 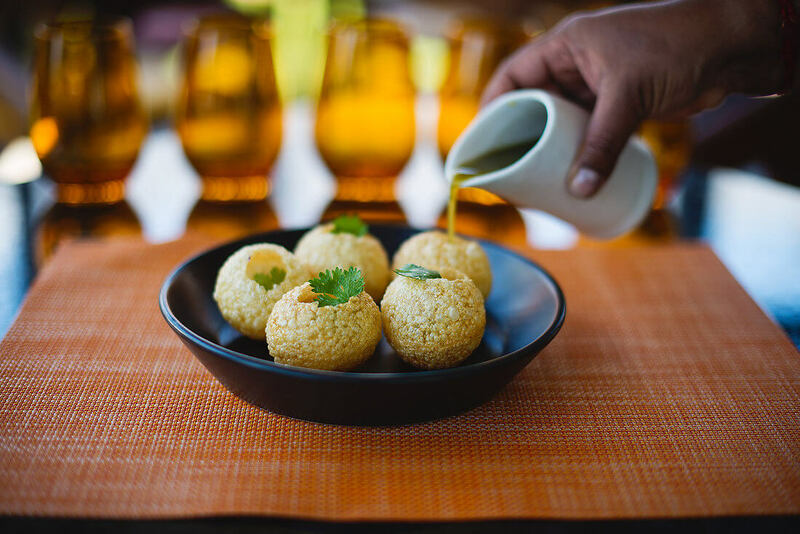 These tangy flavours of chaat tempt and bring back your customers, again and again, to taste them frequently. Why are we Marked Different? Developing a wide range of street food and fast food snacks need best and initial training for the franchise is offered. We serve continuous marketing support and brand building while offering product menu for all seasonal sale. Chaat Ka Chaska in Kohima takes special privilege in proven and tested delicious taste to increase the footfalls in your chaat corner. Not just this we even take the help of media especially social media to do promotional activities if required. With all the above-mentioned facilities in the just a low amount of investment, our franchisees can step up as a fastest growing business company in the food industry. Thus, join our Chaat Ka Chaska Street and Fast Food Franchise Outlet in Kohima to gain lots of profit margin by becoming the trustworthy chaat seller in the city.